World famous British street artist Banksy has a message about the widespread CCTV in England and has chosen a large wall as the medium to express it. 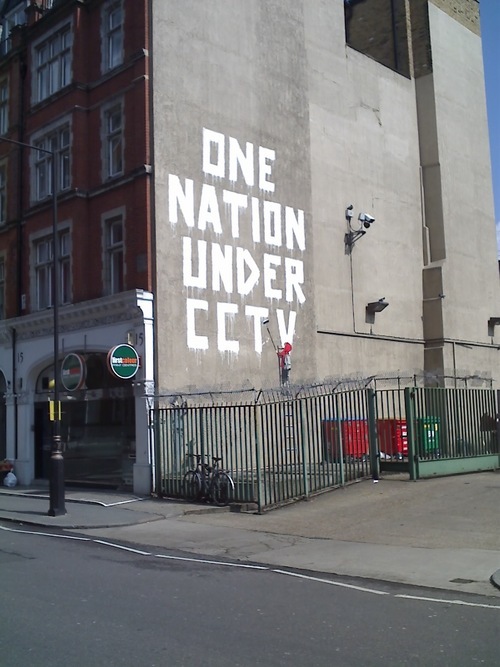 Via ONE NATION UNDER CCTV graffito in London - Boing Boing. See also Banksy pulls off daring CCTV protest in London - Telegraph. Greater details in this Flickr set.